Stephen Reid died at age 68 of pulmonary edema and third-degree heart block in the hospital at Masset, B.C., on June 12, 2018. Following Reid's death, Masset Mayor Andrew Merilees commented, "He was always friendly and pleasant. He was enjoyed by most of the community despite his past failings. "; Reid is survived by his wife, Susan Musgrave, daughters Charlotte Musgrave and Sophie Reid Jenkins, and granddaughters Beatrice Musgrave and Lucca Musgrave. 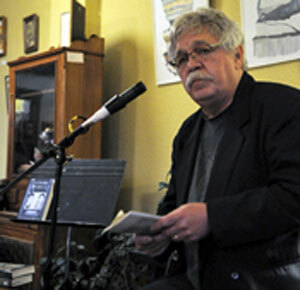 Born on March 13, 1950, in Massey, Ontario, Stephen Reid began writing in 1984 while serving a 21-year prison sentence for bank robberies undertaken with the Stopwatch Gang, an all-Canadian trio so-named because most of their approximately 100 bank heists in Canada and the U.S. were undertaken with ninety-second time limits. With a criminal recording dating back to 1972, Reid was arrested during an FBI raid in Arizona in 1980 at a time when he was wanted for 31 robberies in the western U.S. He would be subsequently sent back to Canada to serve a sentence related to the theft of $785,000 in gold bullion at Ottawa's airport in 1974. Reid married his writing mentor Susan Musgrave at Kent Prison in Aggasiz on October 12, 1986. That same year, with the assistance of his wife, he published his first novel, Jackrabbit Parole, inspired by exploits. There was little criticism at the time about a criminal benefiting from his crimes by writing about them, partly because Susan Musgrave was such a well-known and widely-respected literary presence across Canada. With Musgrave's help, Reid was released on full parole on June 1st, 1987. He lived with his wife and two daughters near Sidney, on Vancouver Island, and also at their new home on the Sangan River, Queen Charlottes Islands/Haida Gwaii. The recovering-criminal-as-literary-celebrity had all the makings of a good news story. A non-fiction work about Reid by Ottawa journalist Greg Weston, The Stopwatch Gang, was published by Macmillan in 1992, and it was optioned for film by Tri Star Productions in Los Angeles. Reid played the role of an armoured truck guard in the feature film Four Days in 1998. Until June of 1999, Reid was able to work in the field of restorative justice, with L.I.N.C. and in the NWT with Dene and Inuit youth offenders. His fiction and book reviews appeared in various publications. Earlier that same year, the rejuvenation of Reid and his reunion with Musgrave was the subject of an one-hour CBC (Life & Times) documentary, The Poet and the Bandit, which had aired in January. But heroin and cocaine led him back to crime. Dressed in a police uniform, Reid, with an accomplice, re-offended with a Cook Street bank robbery in Victoria on June 9, 1999, pointing a loaded shotgun at bank employees and bank patrons. The pair fled with $97,000. Reid reportedly fired at police with a 44-magnum handgun. There was a car chase and Reid held innocent civilians at gunpoint after taking refuge in their apartment. On December 21, 1999, having exchanged gunfire with police, Reid was sentenced to 18 years in prison. The judge noted for the record that Reid's crime was simultaneously "an attempt to terrorize people." Reid managed to get himself granted day parole in January of 2008 but his temporary freedom was revoked in November of 2010 when police pulled him over and found 3,600 contraband American cigarettes in his vehicle. At age 63 in 2014, Reid was granted day parole at a hearing at William Head Institution in Metchosin. At a 2015 parole hearing, Reid claimed to have transformed himself into a sober grandfather who wrote screenplays and found peace in aboriginal drum making. He was subsequently permitted to revisit Musgrave in Masset where he took up residence. [See Susan Musgrave entry] By the end of his life, Reid had published two books and served time in more than 20 American and Canadian prisons. He has completed one play, DOING THE BOOK (workshopped by Cahoots Theatre in Toronro, 1997). He co-produced a prison documentary "Walls" in conjunction with the Spicer Commission. The film rights to Jackrabbit Parole have been optioned. A non-fiction work about Reid by Ottawa journalist Greg Weston, The Stopwatch Gang, was published by Macmillan in 1992. The Stopwatch Gang has been optioned for film by Tri Star Productions in Los Angeles. Reid played the role of an armoured truck guard in the feature film FOUR DAYS in 1998. Susan Musgrave and Stephen Reid were the subject of an hour-long CBC (Life & Times) documentary, THE POET AND THE BANDIT, January 1999. Board of Governors, Prison Arts B.C. VICTORIA - He looks more like an insurance salesman than a bank robber but at 58 years old, Stephen Reid, one of Canada's most notorious bank robbers, still has some changes to make before the National Parole Board is convinced he can resist the lure of hard drugs and fast crimes. Reid was once featured on the FBI's most-wanted list, but on Tuesday, he was neatly-dressed and grey-haired as he appeared before a parole board panel. He's almost 10 years into an 18-year sentence for a 1999 bank robbery and shootout with police in Victoria, but he told the panel his days as a career criminal are over and he needs to spend more time at his family home in suburban Victoria, as opposed to the halfway house where he spends most nights. The parole board rejected the request, saying Reid, the bank-robber-turned-author, must build a stronger support system around him that will keep him straight before he is allowed more freedoms. The board did, however, grant Reid permission to visit the Queen Charlotte Islands on B.C. 's north coast in August for two weeks to explore an opportunity to operate a bed and breakfast there with his family. Reid told the panel members he committed the robbery to feed his heroin and cocaine addiction and pay off drug debts. "This is the first time in my life I've been eight years clean," Reid told the hearing, which was conducted in a circle to give the process a less rigid atmosphere and reflect the journeys Reid has made into aboriginal teachings and spirituality. Reid was on the FBI's most wanted list in the 1970s as a leading member of the so-called Stopwatch Gang, a trio of Canadian criminals known for their precision 90-second bank robberies. The gang hit banks across the United States and was responsible for a $750,000 gold robbery in Ottawa. The FBI arrested Reid in Arizona in 1980. He was later returned to Canada to serve his sentence for the Ottawa robbery. Released on parole in 1987, Reid landed back behind bars with an 18-year sentence for the 1999 Victoria bank robbery. Reid, wearing a police uniform, and an accomplice walked into a Victoria bank where Reid pointed a loaded shotgun at employees and customers. The pair fled with $97,000, but with police in pursuit. Reid used a .44 Magnum handgun to fire several shots at police, including shots at a pursuing officer on a motorcycle, and he fired at an innocent woman bystander, knocking a paint tray from her hand, in an attempt to create a diversion. Reid and Allan McCallum were arrested after a standoff at a nearby apartment. Reid was granted day-parole last January, but the conditions require him to spend five nights a week at the halfway house. The circle included two members of the parole board, an aboriginal elder, Reid's stepdaughter, his parole officer and a spokeswoman for his halfway house. Reid's wife, poet, Susan Musgrave, was teaching in Vancouver and did not attend the hearing and neither did his youngest daughter. "I've been able to turn things over," said Reid. "I'm not afraid to share things today. I reach out for help. I reach out for all the help I can get. I'm 58 years old." Reid was asked several pointed questions about his criminal past by parole board members Ben Anderson and Terry Little. Anderson referred to Reid's past reputation as a "manipulative con." "What has changed in your behaviour?" he said. "When are we going to see the real Stephen Reid?" Reid said he confronts his negative emotions immediately and his family and friends will no longer tolerate any moves toward his past behaviour. "Why did you chose to be a bank robber with a loaded gun?" said Little. Reid said he wasn't just a bank robber. His life of crime started at 13 years old, and it included drug dealing, theft and robbery. "The criminal lifestyle, I just bought into it," he said. Reid's semi-autobiographical novel, Jackrabbit Parole, netted the Massey, Ont., native acclaim in Canada's literary community. Reid said he is currently writing another autobiographical work, but it is much more reflective in tone that delves deeply into his consciousness as opposed to the fast-paced themes of his previous works. "I don't think I can write in an exploitive way," he said. "It's a much more meditative book." Victoria authors were recognized for their literary achievement. Forrie of Thistledown Press, Reid's publisher. Journal of Prisoners on Prisons. Reid is married to writer Susan Musgrave. (Biblioasis), Christina Johnson-Dean for The Life and Art of Ina D.D. Polly Horvath is one of the most highly acclaimed authors writing today. Pearson for And Nothing But the Truth. between the City of Victoria and Brian Butler of Butler Brothers Supplies. The Bolen Books Children's Book Prize was founded in 2008 and is funded by Bolen Books. This year's sponsors include the Union Club, Greater Victoria Public Library, the Magnolia Hotel and Spa, CBC Radio, Island Blue Print, and Thrifty Foods. The Victoria Book Prize Society establishes the policy and criteria for the prizes, appoints the juries, and administers the competitions. 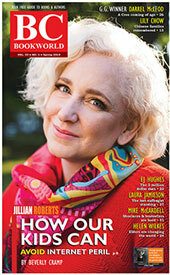 For more information visit www.victoriabookprizes.ca.